SINGAPORE, 19 November 2018 – Seletar Airport started operations at its new passenger terminal today. All operations have been transferred from the old terminal, situated at the west of the Seletar aerodrome, to the new one at the east. The new passenger terminal welcomed its first passengers today through the business aviation wing of the terminal. The new terminal is also ready to handle scheduled commercial flights and all scheduled turboprop flights in Singapore will have to operate from the new terminalfrom 1 December 2018. Seletar Airport meets the relevant requirements of the International Civil Aviation Organization on airport design and operations. The Civil Aviation Authority of Singapore has certified that the new facilities and infrastructure at Seletar Airport are ready for aircraft operations. These include both scheduled and non-scheduled services. Extensive trials involving over 2,000 participants have been carried out since June 2018 to ensure the readiness of systems and processes. These included the processing of departing and arriving passengers, systems for check-in, baggage handling, and immigration and security clearance. Passengers on commercial flights can look forward to checking in via four check-in counters in the departure hall, before proceeding to a comfortable departure gate holdroom. Spanning 10,000 square metres, the new two-storey terminal also features more space for arrival immigration, baggage claim and a meeters-and-greeters hall, designed to provide a warm and hassle-free reception. A café in the departure area serves refreshments and quick bites to passengers, while a garden courtyard brings nature and a relaxed atmosphere to passengers and airport users. 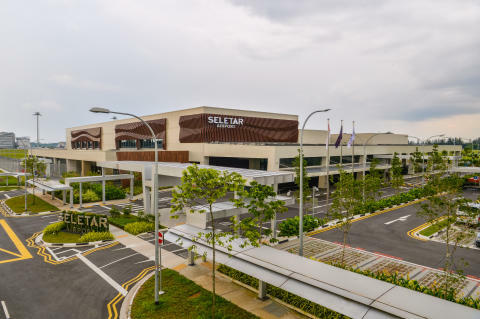 The new terminal includes the Seletar Business Aviation Centre, which comprises a separate drop-off area and a dedicated check-in and lounge area where business aviation passengers can enjoy quick pre-departure and arrival clearance in a comfortable setting. The facility also provides meeting facilities on the second level where passengers can conduct meetings in a conducive environment before their departure. 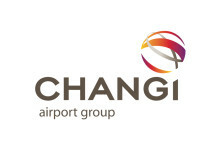 Seletar Airport (IATA: XSP, ICAO: WSSL), owned by the Civil Aviation Authority of Singapore and managed by Changi Airport Group, is Singapore's business and general aviation civil airport. It caters to business and general aviation users such as international aircraft charters, private flights, and aircraft coming for maintenance, repair and overhaul. Seletar Airport also supports scheduled commercial flights. With its new passenger terminal building and supporting infrastructure, it has a handling capacity of over 700,000 passenger movements per annum.